Diamond Details: 18 Round brilliant cut white diamonds, of F color, VS2 clarity and excellent cut and brilliance, weighing .65 carat total with 156 round cut fancy yellow diamonds, weighing 2.10 carats total. 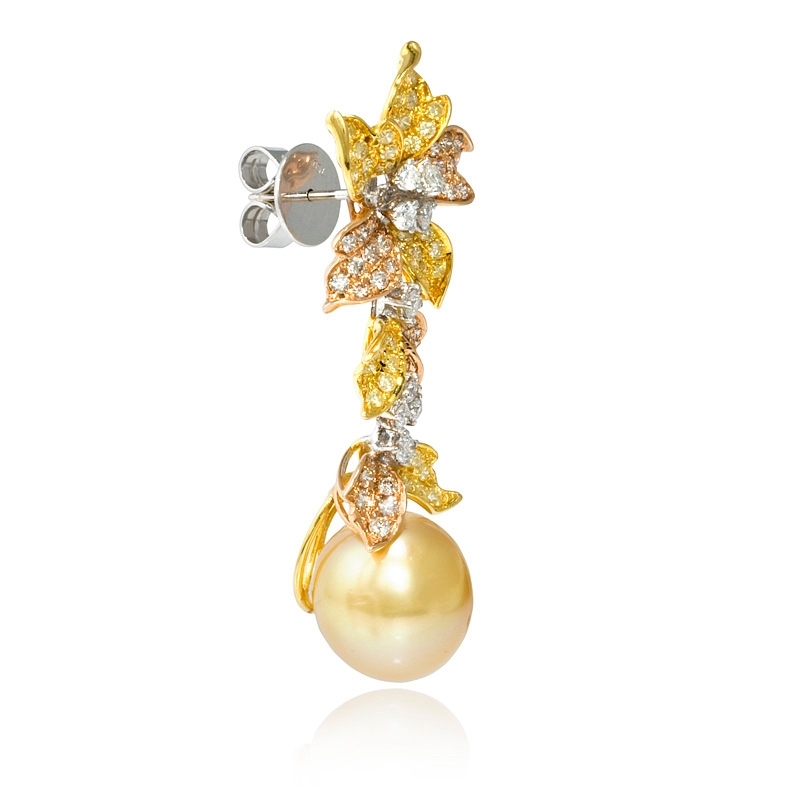 Pearl Details: 2 South sea golden pearls, full of luster, measuring 12mm to 13mm in diameter. Measurements: 48mm length and 20mm at its widest point. 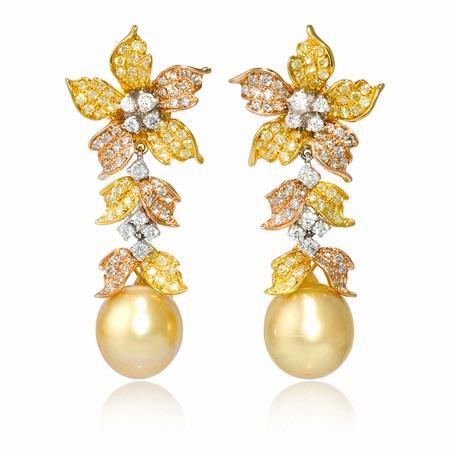 This luxurious pair of 18k white, yellow and rose gold dangle earrings, designed in Italy, feature 18 round brilliant cut white diamonds, of F color, VS2 clarity and excellent cut and brilliance, weighing .65 carat total, 156 round cut fancy yellow diamonds, weighing 2.10 carats total and 2 large south sea golden pearls, full of luster, measuring 12mm to 13mm in diameter. These dangle earrings contain post and push backs. 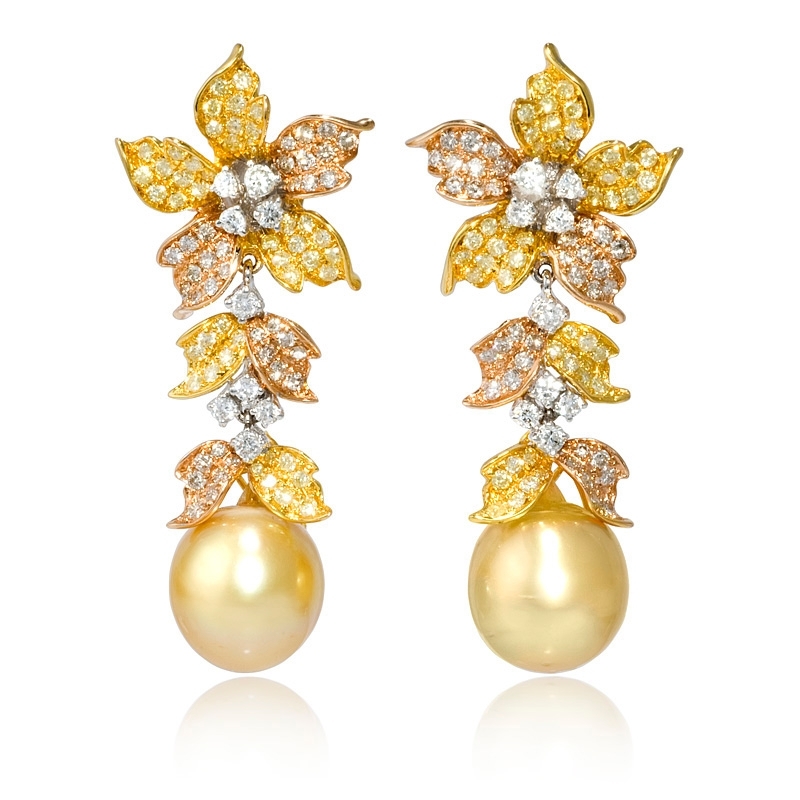 These dangle earrings measure 48mm in length and 20mm at its widest point.